CA 27.29 is an antigen—that is, a specific type of protein present on the surface of cells and is produced by a gene called MUC-1. CA-27 is a "glycoproteins," (glyco means sugar) and may be present on the surface of epithelial cells like breast cancer cells. Breast cancer cells can shed copies of the CA 27.29 protein into the bloodstream too. Diagnosis—This test is not often done to diagnose breast cancer, at least not alone. It's mentioned here to make note that the CA 27.29 test is the only blood test used specifically to determine the presence of breast cancer cells. If you have or think you may have early stage breast cancer, this test may be performed to help make your diagnosis. To monitor treatments—The CA 27.29 test is often done to monitor your response to breast cancer treatments. If your levels rise, it may indicate that your cancer is coming back or progressing, and it may be necessary to adjust your treatments accordingly. If your levels fall, it may indicate that your treatment is effectively killing your cancer. To look for early recurrence—If your treatment for breast cancer has been completed, this test may be done at regular intervals to detect an early recurrence of your cancer. An elevation of CA 27.29 occurs, on average, around five months before a recurrence is evident based on symptoms or imaging studies alone. Despite this, there is still debate over whether or not finding a recurrence of cancer before symptoms makes a difference in the treatment and, ultimately, the outcome of the disease. To monitor metastatic cancer (status check)—The test may help those with metastatic breast cancer know if their cancer is progressing. That said, elevated levels can linger for some time and, in one study, 30 percent of people had elevated levels which persisted for two to three months after the onset of effective treatment. Since the CA 27.29 test is the only test used specifically to detect the presence of breast cancer cells, it would seem that it would be ordered more often to screen for breast cancer. Yet, as noted, the test lacks predictive value in determining the presence of a breast cancer. A recent concern has arisen regarding the use of CA 27.29 in women who are receiving granulocyte stimulating therapy along with chemotherapy. A 2018 study found that women who received medications such as Neupogen or Neulasta to increase their white count following chemotherapy, as these treatments have been found to increase CA 27.29 levels. 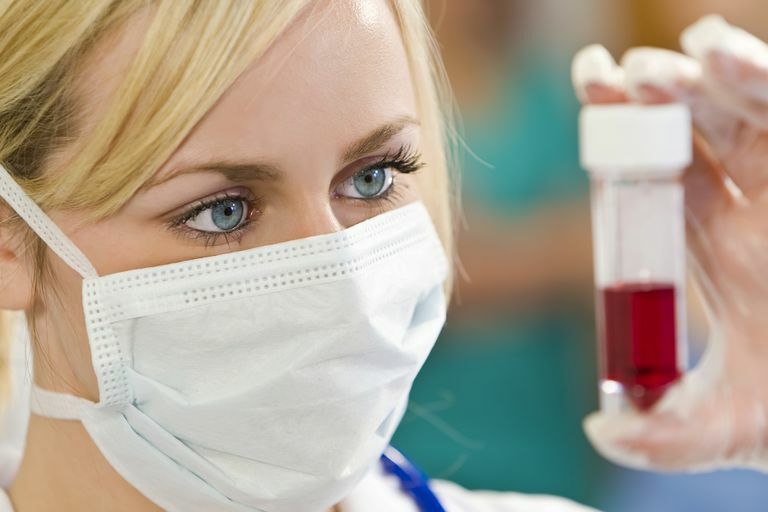 The test is a simple blood test so the risks are small. Possible risks may include anxiety related to an abnormal test or a test result which does not accurately reflect the status of your cancer. Since this test is done as only a part of the workup monitoring cancer, the risk is often not of great concern. CA 27.29 is not a perfect test, but it is often useful along with other tests, such as imaging, to evaluate recurrence and response to treatment. KI-67 is not used to monitor breast cancer. Most often, either the CA 27.29 test or the CA 15-3 test will be ordered, but not both. The CA 27.29 may be used for several different purposes with breast cancer and is the one biomarker used specifically to determine the presence of breast cancer cells. That said, there are other cancers as well as benign conditions which can lead to elevated levels. It is also important to understand the limitations of the test when used to evaluate breast cancer, including reasons the level may be abnormally elevated, such as when medications such as Neupogen or Neulasta are used. And the test should always be used in conjunction with other findings, such as a physical exam, other blood tests, and imaging studies. American Society of Clinical Oncology. Biomarkers to Guide Treatment of Metastatic Breast Cancer. July 2015. Poznak, C., Somerfield, M., Bast, R. et al. Use of Biomarkers to Guide Decisions on Systemic Therapy for Women With Metastatic Breast Cancer: American Society of Clinical Oncology Clinical Practice Guideline. Journal of Clinical Oncology. 2015. 33(24):2695-2704. Hepp, P., Fasching, P, Beckmann, M. et al. Use of Granulocyte Colony Stimulating Factor During Chemotherapy and Its Association with CA 27.29 and Circulating Tumor Cells: Results from the SUCCESS A Trial. Clinical Breast Cancer. 2018 Jun 18. (Epub ahead of print).